Matt Forbeck has worked full-time as a writer and game designer since 1989. He has designed board games, collectible card games, roleplaying games, and miniatures games and has written comic books, computer games, magazines, novels, nonfiction, screenplays, and short fiction. He lives in Beloit, Wisconsin, with his wife Ann and their five children. 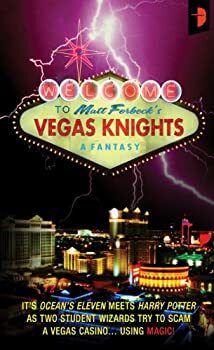 Visit Matt Forbeck’s website for more details. 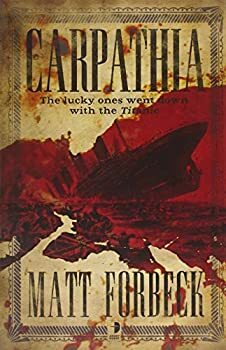 It’s year 2168, and Secret Service agent Ronan Dooley is investigating a savage homicide, of which he happens to be the victim. In fact, this is the eighth time Agent Dooley has died in the service of his country. Several of Ronan’s lifetimes ago, he took a bullet meant for the president. His heroic death won him the honor of becoming the first participant in Project Amortal: a medical procedure where the deceased’s mind and memories are downloaded into the brain of an exact clone. The project was initially intended for heads-of-state or those whose public service had proven exceptional, but of course the few with the means to afford it could sign-up too. So it's April 1912, and here I am aboard R.M.S. Titanic, on her maiden voyage. By heaven, she's a lovely ship! Big, too. But I'm a little worried we're getting rather close to that iceberg. Oh I say, we've struck it! Not to worry, old man, everyone knows this ship is unsinkable. What's that? We're sinking anyway? Dash the luck! Off to the lifeboats then. What do you mean, there's no more room? Blimey. Rest assured I'll write a strongly worded letter to the White Star Line about this! Alas, I suppose there's nothing for it but to dress in my evening best, order a brandy, and prepare to die like a sir. Could be worse, I suppose. At least we aren't being attacked by vampires. What's that? We are being attacked by vampires! Of all the bloody cheek! Blood Bowl — (2005-2007) Publisher: Welcome to the world of Blood Bowl — football played fantasy-style, where teams can be human, orcs and ogres, and players are as likely to throw a goblin as a ball! These three stories follow the career of Dunk Hoffnung, as he works his way up from unemployed adventurer to star player with the Bad Bay Hackers. 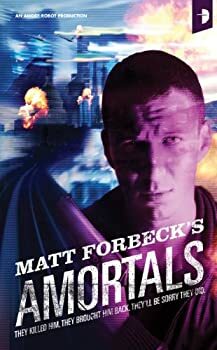 CLICK HERE FOR MORE BOOKS BY MATT FORBECK.